TV viewers have complained about the "shocking" sound quality on BBC drama Happy Valley. The first episode of the long-awaited second series was trending on Twitter on Tuesday night with people referring to "mumbling" and inaudible dialogue. It is not the first time a BBC show has faced criticism of this nature, as hundreds of people complained about the sound in Jamaica Inn and crime drama Quirke in 2014. The first series of Happy Valley captured the imagination of viewers, drawing an impressive consolidated audience of 7.8 million for its series one finale. And while the latest episode of the show has been met with similar praise, it appears to have been marred by viewers' problems with the sound - and even the suggestion that subtitles were needed. Twitter user Ibrahim Banks wrote: "Shocking sound BBC. Hard to follow the mumbling. Please sort this out. Great start though." He added: "Just watched Happy Valley should be called 'happy mumblers', needed subtitles on." Mario Fretti wrote: "Again a good show is spoilt by the sound, too much whispering and mumbling." Another Twitter user called Kez wrote: "Stayed up to watch Happy Valley after a night out. So glad it's back but had to turn volume right up to decipher mumbling." The downbeat drama, written by Last Tango In Halifax's Sally Wainwright, sees James Norton reprise his role as psychotic Tommy Lee Royce. 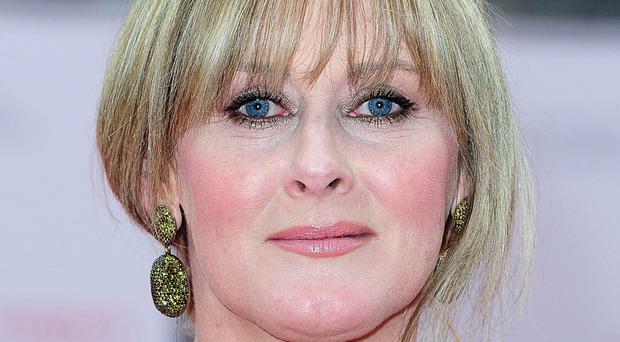 Set in the Yorkshire Valleys, it stars Sarah Lancashire as Royce's nemesis, police sergeant Catherine Cawood. In 2013, BBC director-general Tony Hall said the corporation could look at how to stop actors ''muttering'' in its TV dramas. "I don't want to sound like a grumpy old man, but I also think muttering is something we could have a look at," he said.